If the toes remain in the hammertoe position for long periods, the tendons on the top of the foot will tighten over time because they are not stretched to their full length. Eventually, the tendons shorten Hammer toe enough that the toe stays bent, even when shoes are not being worn. The symptoms of hammertoe include a curling toe, pain or discomfort in the toes and ball of the foot or the front of the leg, especially when toes are stretched downward, thickening of the skin above or below the affected toe with the formation of corns or calluses, difficulty finding shoes that fit well. In its early stages, hammertoe is not obvious. Frequently, hammertoe does not cause any symptoms except for the claw-like toe shape. 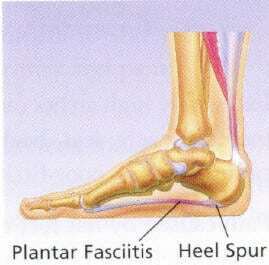 Sever's disease is a condition characterized by pain in one or both heels with walking. The pain is caused by shortening of the heel-cord. It usually affects children between the ages of 10 and 13 years old. During this phase of life, growth of the bone is taking place at a faster rate than the tendons. 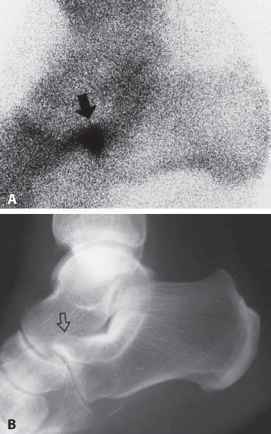 Sever's disease is also called calcaneal apophysitis. Your child may have pain along the edges of one or both heels during exercise. The pain usually goes away with rest, but may be worse in the morning. Your child's heel may also be slightly swollen and warm. The heel pain may be worse when your child climbs steps or stands on tiptoe. It may cause your child to limp.